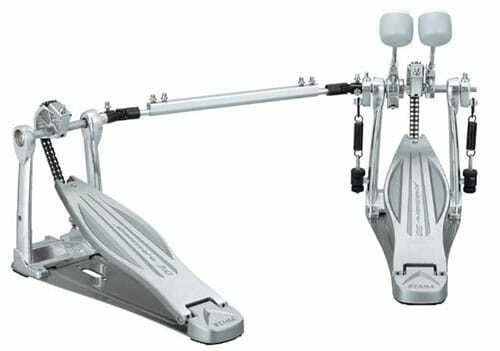 Finding the best double bass pedal for your feet is essential if you want to play effortlessly. 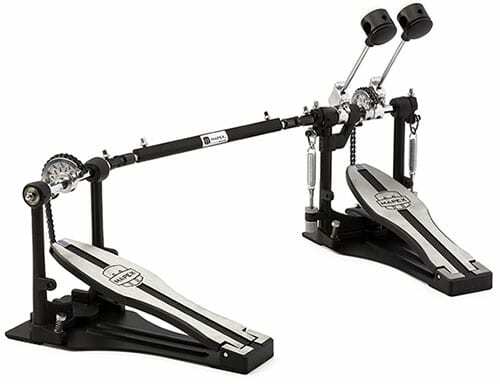 I’ll narrow down the top 3 best double bass drum pedals based on speed, budget, and overall quality. Whether you are just transitioning into the world of double bass drum playing or if you’re a double bass fanatic looking for an upgrade, picking the right set of pedals can make or break your drumming ability. Since prices can vary so much, finding the best double bass pedal for you will depend entirely on your budget and preferred style of music. What’s A Double Bass Pedal? 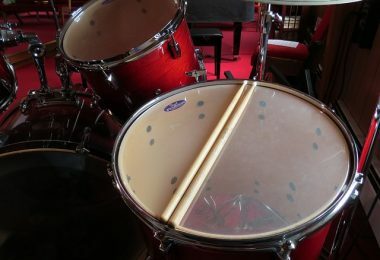 Double bass drumming was first made popular in the 1950’s by big band jazz drummer Louie Bellson who used 2 separate bass drums - each with their own pedal. This was partly inspired by his tap dancing abilities, and as a result he was able to play faster and more complex patterns on the bass drum. Not long afterwards rock drummers all across the world were adding an extra bass drum to their drum sets for the same benefits. Suddenly, playing things like triplets and sixteenth notes on the bass drum became possible and a transformation in music styles occured. The burden of transporting and having to set up 2 big bass drums eventually led to the invention of the currently popular double bass drum pedal which is essentially a main pedal with a slave pedal connected alongside via a shaft. 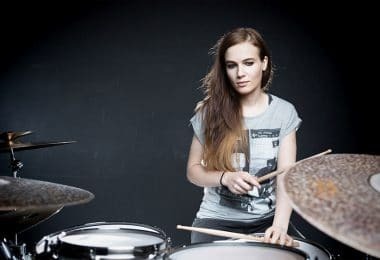 You’ll still see some heavy metal drummers today using 2 double bass drums, and the reason for this is to achieve a louder and more powerful sound due to more time between hits which allows the drum to resonate more. For most drummers though, the consistency of sticking with one bass drum along with the benefits of portability and small size make double bass pedals the winner. Despite how simple most people think bass drum pedals are, they can be very complicated and feature many advancements in technology that make previous generations obsolete. Therefore, it’s a good idea to have a basic understanding of the different parts. 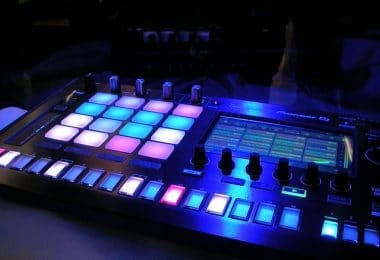 In addition, depending on if you use heel-up or heel-down technique and what style of music you play you might want to favor certain features over others. A pedal drive is the part of the pedal that connects the pedal to the beater. There are essentially 3 different types of connections available: chain-drive, belt-drive, and direct-drive. Chain-drive bass drum pedals are the most common and they come in both single chain and double chain configurations. Single chains are most commonly found on lower cost pedals, but that’s not to say they are worse. Some high-end drummers prefer the feeling of single over double - it just comes down to personal preference. The double chain tends to be more durable in extreme uses, and it flexes less which leads to less side-to-side movement and friction for a smoother playing experience. Belt-drive pedals replace the chain with a single belt. Some drummers prefer the smoother action and lighter feeling of belts. Since chains can flex and have moments of “looseness”, belt drives have an advantage in that they have a more solid and stiff connection between the pedal and beater. 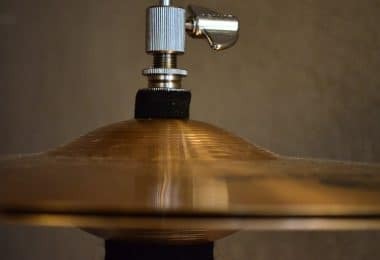 The durability of belts has been a problem for drummers in the past, but modern materials and technology are making them more stable and less prone to breaking. The wear-and-tear is also easier to see on a belt than it is on a chain-drive. Direct-drive pedals feature a solid bridge between the footboard and beater. This solid connection mitigates any flexing or bending that chain and belt drives suffer from. 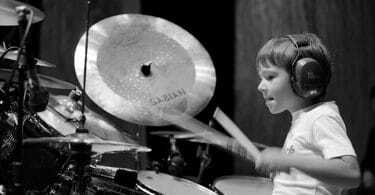 Because of this, drummers can expect more control, power, and response in their playing. Metal drummers in particular gravitate toward direct-drive pedals for the extra power and precision needed, but some (especially heel-up drummers) still find chain and belt drives to have much more control. Bass drum pedals can come with a huge variety of footboard sizes and shapes. The most important thing to pay attention to is if it’s a standard footboard or a longboard. Regular footboards have a flat section at the base near the players heel. Longboards differ in that they lack that area, instead offering a longer pedal overall. This can be beneficial for drummers who utilize a heel/toe technique or who have larger than average foot sizes. A cam is the part of the pedal that connects the drive to the beater. It is responsible for controlling the acceleration of the beater into the bass drum head. There are 2 types of cams: linear and offset. Linear cams keep a constant radius during the travel of the beater, thereby ensuring that the speed does not change from the beginning of the stroke through to the end. Offset cams are designed to accelerate the beater as it gets closer to the head of the bass drum. They feature a nautilus shape that causes this, compared to the round shape of standard cams. Some pedals offer customizable cam shapes to suit each drummers personal taste. The Pearl Eliminator pedal features an interchangeable cam system, while the DW 9000 pedal offers an adjustable cam. Tama’s Iron Cobra Double Pedal was (and still is) one of the most iconic pedals ever created. It is used by some of the world’s top drummers, and it’s one of my personal favorites to use as well. Luckily Tama hasn’t forgotten about continuing to innovate, and they’ve developed a new evolution of the Cobra series called the Speed Cobra. It’s a lightweight, double-chain pedal designed for speed, and it does it extremely well. There are several features here worth looking at. The first of which is the new LiteSprocket cam. It weighs 40% less than the cam on the Iron Cobra leading to a more responsive feel and quicker acceleration. The longer footboard is also exclusive to the Speed Cobra. It is designed to create greater acceleration and power with less effort, and the smooth playing surface is designed to reduce friction which leads to more precision and flexibility during playing. The new beater allows for different kind of attacks just by angling it. Choose between narrow and wide striking surfaces for either a punchy sound or a fuller sounding one. I think this is a great upgrade by Tama. The construction and durability here is top-notch, and it feels effortless to play on this thing compared to some of the competition. For those of you looking to pick up the speed of your double bass playing and have something that will last for many years to come, this is your best option. 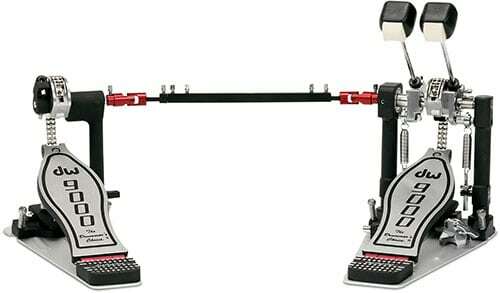 The Mapex 500 Double Bass Drum Pedal is a great low-cost option for those of you on a budget. It’s a single chain pedal with adjustable spring tension. Adjustable spurs and stabilizing radius rods keep it in place. There is a little bit of side-to-side movement at times, but you can read our guide on how to stop pedals from sliding for a quick fix. One cool thing about the Mapex is that it comes with a reversible beater. Use the felt side for a more subtle and muffled attack, or flip it over to the plastic side for a more pronounced and aggressive slap. It might be a bit slow and heavy feeling for those of you playing speed metal, but because of the durability, quick adjustments, and low-cost, this is one of the best double bass pedals for beginners or those of you on a budget. This cheap double bass pedal will definitely make you happy while not breaking the bank. If you have the money to spend and are looking for the most adjustable, highest quality double bass pedal on the market, look no further. The free-floating rotor-drive system is one of the main selling points of this pedal. The rotor spins freely and noiselessly around the drive shaft leading to a slick and smooth motion. It feels really great and the pedal feels like it becomes an extension of your foot rather than a tool you are using to push the beater into the head. The cam here is also infinitely adjustable which is great for anybody who loves to find that perfect setting for them. You can set it to Accelerator or Turbo Drive, or anywhere in between. In Accelerator mode the length the beater has to travel is shortened which is great for drummers who have to play fast for long periods of time. One of the most annoying things about bass drum pedals for me is that they never stay fully attached to the bass drum. I always find a point where it slides off and I have to fumble around trying to get it to stay on again. 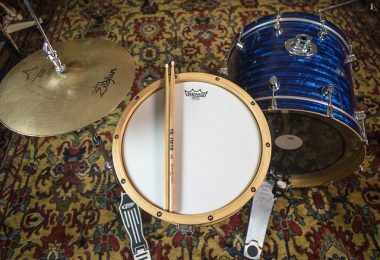 The DW 9000 has a nifty Tri-Pivot Toe Clamp that ensures a great connection no matter what size or angle the bass drum hoop is. It works really well and I’ve never had it come off. Instead of being located at the end of the drive shaft, the DW put the tension springs inside of the frame close to the center of the pedal. What they are aiming for here is a vertical alignment of moving parts. DW really hit it out of the park with this one and I can see it staying at the top for a long time to come. 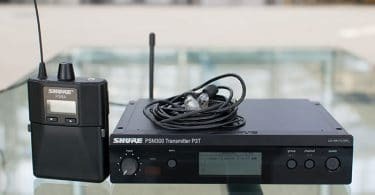 Conclusion - What Is The Best Double Bass Pedal? If there’s one piece of drum gear that can really mess with your technique and playing ability, it’s the bass drum pedal. I’ve gone through a bunch of different brands and each one behaves very different from the rest, and it takes a good bit of time to really get used to the one you stick with. The pedals on this list are all long-lasting and highly praised, so you can’t go wrong with any of these choices as long as you stick with it and learn all the little intricacies that it offers. If you are a beginner or just starting out with your first set of double bass pedals because of curiosity, the Mapex will be a nice low-cost starting point to see how you like the world of double bass. If you are an intermediate-advanced drummer I would go with the Speed Cobra’s for their lightweight and quick action. For all the double-bass fanatics out there who want the best on the market, the DW 9000 is the right choice for you.